WATERFORD — Peter Bennett ended the 2017 riding a wave. This year it’s turned into a tsunami. 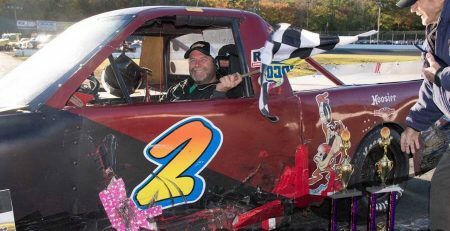 He already has two wins in the New London Waterford Speedbowl’s Legends car competition — one on Saturday and one on Wednesday — and is leading the Saturday point standings by six points over Scott Limkemann. He is second in the point chase on Wednesdays, seven points behind leader Michael Blaskey. Bennett says it’s just a matter of starting 2018 the way he ended his rookie season in 2017. Bennett said in 2017 he had to overcome the intimidation factor. While he’s been a Legends driver for less than two seasons, he has been a Legends fan for much longer than that. And he’s living that dream at full speed. 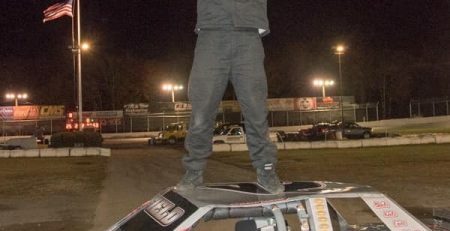 Bennett, however, considers himself a points racer instead of going all out for victories. “My goal is to go for the championships on Wednesday and Saturday, but I know it’s going to be difficult,” Bennett said. “There’s so much good competition. 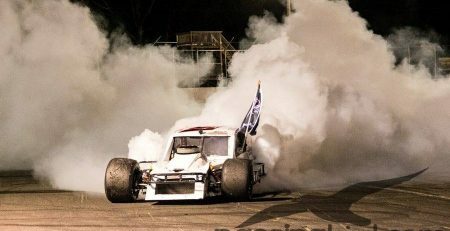 Kyle Rogers has won back-to-back Saturday titles and drivers like Mike Blaskey and John O’Sullivan are tough to beat. 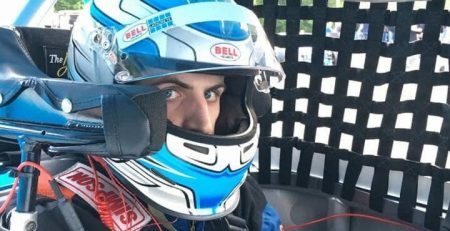 Bennett started his racing career in 2010 with the Nutmeg Kart Club at the Berlin Fair. He won a championship in 2016 and still is involved with the Nutmeg club as a flagger. 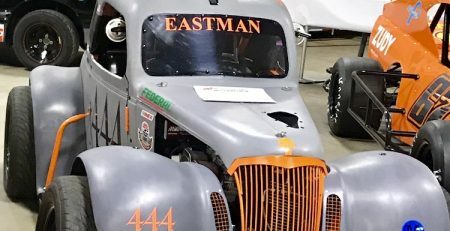 He purchased a Legends car in 2017 and has been on the move at the Speedbowl ever since. 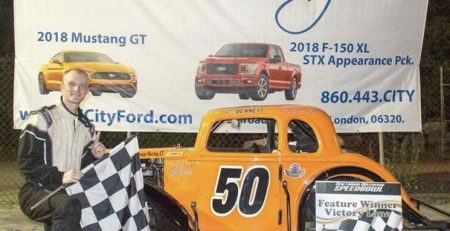 Bennett’s sponsorship includes Portofino’s Restaurant in Berlin, Realtor Tom J. Perra, Wayne’s Townline Service in Southington, Johnny Olson’s Quality Used Cars, Kingsley Plumbing and Heating and J&J Racing. His crew consists of his dad and his mom. “It is a family operation,” Bennett said. A family that has been hanging out in the fast lane so far in 2018. Wild & Wacky Wednesday resumes June 13. The Legends (25 laps), Super X Cars (25 laps), X Cars (25 laps), Bandoleros (20 laps) and a Big Wheel race will be on the card. The Wacky event is a water balloon “Bucket” toss. Opening ceremonies are scheduled to get under way at 6:45 p.m. …The Super-X Car has been the most wide-open division with four winners in four races. Ray Reed won the Opener, followed by Jason Larivee, Marc Shafer and Dave Yardley. 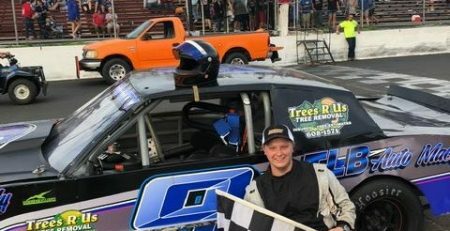 In the point standings, Yardley leads by 11 over Shafer, who did not compete in last week’s feature because of a broken drive shaft….The hottest driver at the Bowl may be Blaskey, who has two wins and two second places in four Legends races… The X-Car division continues to be the most popular at the Speedbowl. 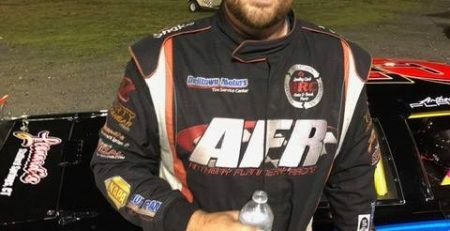 A field of 23 drivers competed in last week’s feature. For more information, contact Mike Serluca at 860-442-7223.